We are Primary Producer Proud and believe our producers are the heroes of the show. 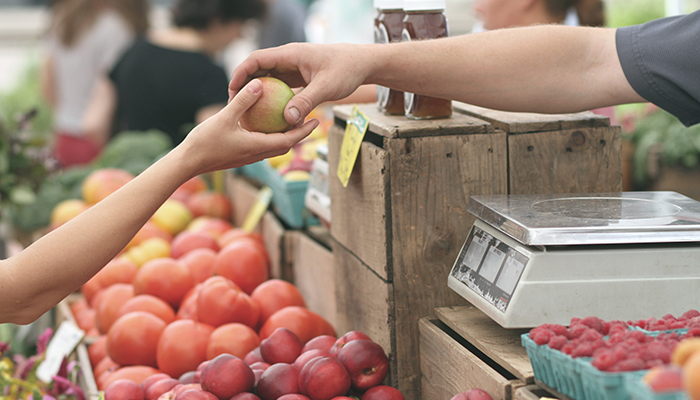 It is our vision to complement a regional farmers market circuit in North East Victoria that promotes and distributes locally grown agricultural produce and a diverse range of quality food products. We are a VFMA accredited farmers market to ensure our visitors have access to a genuine local food system that supports our region. To become an accredited producer is simple and inexpensive and you can find out more HERE. If you are interested in participating in our market please fill in the registration form below and we’ll be in touch shortly. We still have space for stallholders with fresh vegetables, tomatoes and honey. Note: Fields marked with a red * are required fields and need to be filled in for Successful submision. If your registration is accepted the information that we gather in this registration form will also go towards your producer profile on this website. If your registration is accepted you will also need to email us a couple of images for your producer profile (minimum of 1000px wide). Which other farmers markets do you attend? What products do you intend to sell? Please clearly list your products in a manner that lets us understand the focus of your business. List more important items first, and indicate a % if that may help us. For Example - "Fresh Strawberries (90%), jam (10%). if there is not enough space here. please attach document using the attach function below. (please ensure that each page of the attached document contains your name). Be as specific as possible Eg tomatoes, capsicums, eggplants, rather than general terms such as vegetables or sauces. Which Market(s) would you like to regularly attend? When you click on submit please wait until you see the message that the form has been submitted. If you have attached files, how long this will take will depend on the size of the files.